Cape Town, South Africa - What to do. Cape Town is definitely the jewel of South Africa and arguably one of the most beautiful cities in the world. A modern city with all the amenities, but with a laid back attitude of a small town. 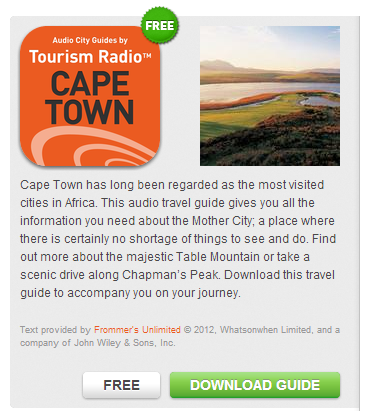 With this guide you get privy to all my intimate knowledge of city and the bigger Western Cape. As a matter of fact I will be taking you even further as I share some of my road trips with you. Before we jump in, some words of wisdom! 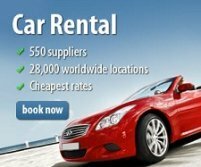 New to Cape Town and don't know where to start. Then I'll suggest that you start on the top 10 page. On the Top 10 page you will get to know about what defines the city. Those attractions that appeal to visitors and locals alike and have been favorites for a long time. Cape Point Nature Reserve is not the most southern tip of Africa, but it does not detract from its raw beauty. The drive there alone, is makes a visit worthwhile. The Cape Winelands offering not only great wines, but all-round family fun. 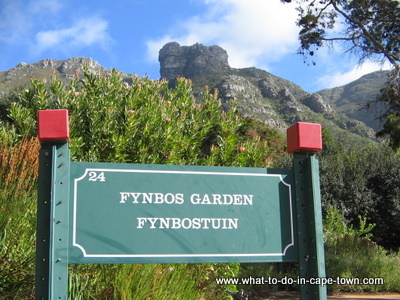 Inspirational Kirstenbosch National Botanical Garden, home to an impressive array of Fynbos plant species. The mightily impressive Table Mountain which I am proud to say is now one of the New Seven Wonders of the World. The V&A Waterfront with all its hustle and bustle makes it the focal point of the Mother City, as Cape Town is also known. 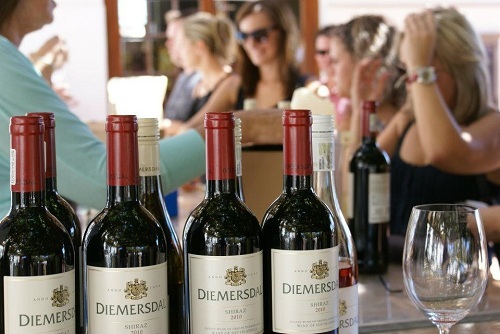 Diemersdal Wine Estate forms part of the Durbanville Wine Route. Places to see and / or interact with animals. 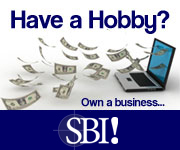 Indoor and outdoor adventure activities. 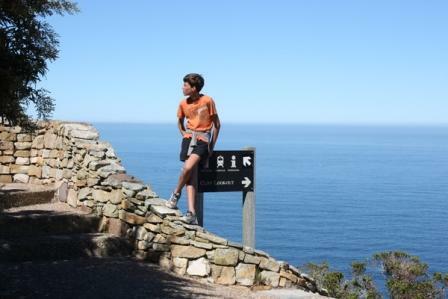 Easy walks in and around the Cape Peninsula. 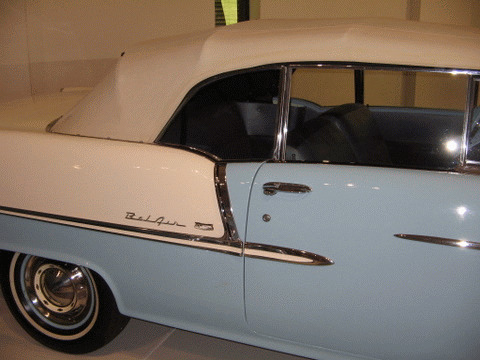 A 1955 Chev Belair which can be seen at the Franschhoek Motor Museum. Cape Town Hotel and B&B Deals! Cape Town nature reserves must definitely be right up there with the best in the world and are either managed by Capenature or Sanparks. Both of these organizations are doing a stellar job. Many attractions offering animal viewing are privately owned shelters in desparate need of funding. 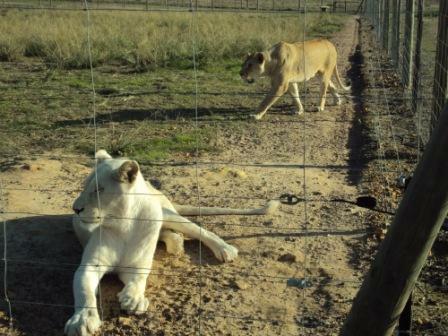 A place which instantly jumps to mind here is Drakenstein Lion Park which takes in lions which cannot be rehabilitated to the wild. They are then assured a chance of living out their natural lives in an safe environment! So please support them by visiting! 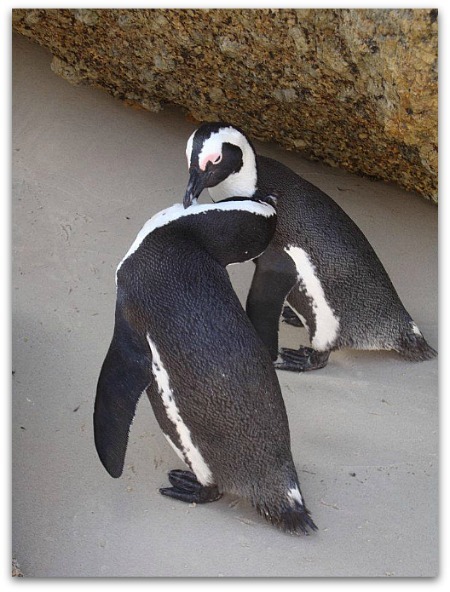 Two African penguins at Boulders Beach, Simon's Town. - Wherever you see this red tick, you will know that this is an attraction that I am proud of and that will be well worth a visit. This is where I indulge myself and these recommendations are extremely subjective! Does this mean that attractions without the tick must not be visited. Not at all! It does however mean that I have either not visited them recently or that I have visited them and did not find all to my liking. In the My Cape Town section some well-known and some lesser-known Capetonians share their favourite attractions. 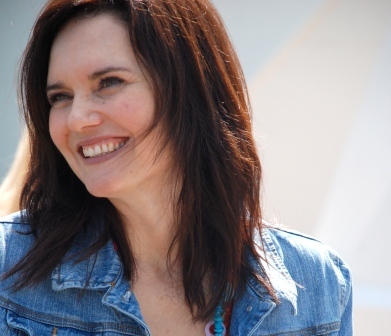 Hesta du Plessis - Organising committee member of Kamersvol Geskenke. If you however do know of a great attraction that was not mentioned, or you want to add an attraction, feel free to do so here. Nie net gaan ek Engels praat nie, maar ek gaan nou vir Kaapstad ook in Afrikaans bemark. Daar is so baie plekke wat regtig die moeite werd is om besoek te word, dat ek voel dat ek nie reg laat geskied aan die plekke as ek die rede hoekom mens moet besoek, in my tweede taal moet weergee nie. So besoek asseblief hierdie webtuiste gereeld om op hoogte te bly met nuwe plekke wat gereeld bygevoeg gaan word en neem deel. Laat weet vir my van jou gunsteling plekke sodat ek dit kan byvoeg. As jy nog foto's ook kan stuur, des te beter. Lekker saamkuier nou ook in Afrikaans!